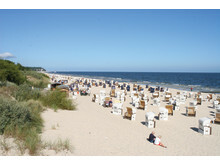 Time to plan your next adventure in Germany: Maritim Hotels offers a unique package for bikers, for instance . 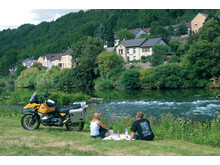 The idyllic Maritim Berghotel Braunlage, located on the edge of the Harz National Park, offers a unique package for bikers, the ‘’Motorbike Special’’. Bikers can enjoy breath taking panoramic landscapes and spectacular reservoir views along the region’s winding, mountainous routes. Bike service comes complete with the package, as do free storage facilities in the hotel’s secure underground car park, drying facilities for rain gear, visor cleaning and dedicated tour guide on request. The hotel also works with local specialist shops for repairs, upgrades and fine tuning. Prices begin at €71 per person for one night’s accommodation in a double room and Maritim’s signature breakfast buffet, an evening meal as part of the half-board deal and a voucher for a draught beer in the hotel bar. Wouldn’t it be amazing to travel half-way around the world in a day? With the “Northern Blossom” package at the centrally located Maritm Hotel Bremen, visitors can stroll through the landscapes of Japan, Borneo and Nepal at the Botanika greenhouse in the Rhododendron-Park Bremen. In addition to the lush greenery and the largest reclining statue of Buddha outside Asia, the neighbouring Botanika green science centrehouses an interactive discovery room. The package runs from May till June 2017, with prices starting from €159 per person for two nights’ accommodation in a double room, with Maritim’s lavish breakfast buffet, dinner as part of the half-board plan, a welcome cocktail, entry to Botankia and bus and tram day pass. 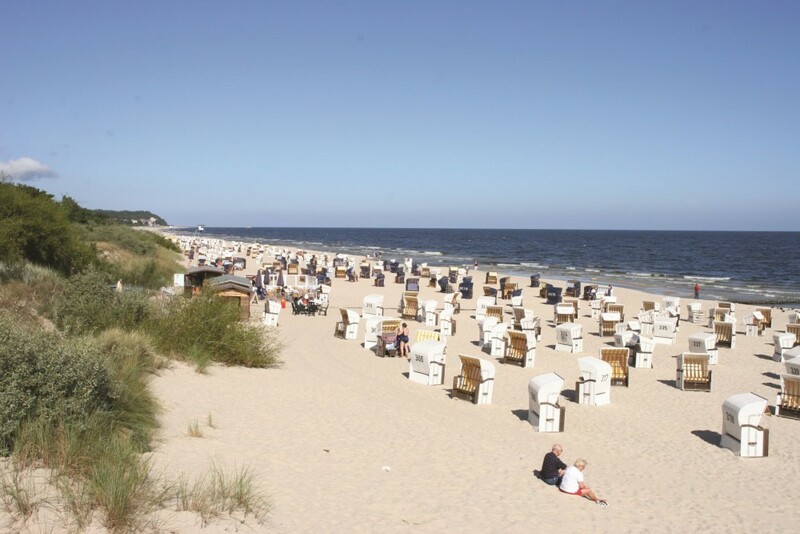 Perfect for anyone who wants to clear their mind and forget the daily grind, the three day ‘Stranded’ package at the Maritim ClubHotel Timmendorfer Strand is available during May, September and October 2017. The hotel, located near the Baltic shore, offers guests the chance to recharge their batteries by indulging in long, tranquil walks along the picturesque beach, or by taking part in a wide range of onsite activities such as tenpin bowling, archery, golfing and cycling. Package prices start at €160 per person for two nights’ accommodation in a double room, including Maritim’s comprehensive breakfast and two themed buffet meals or a la carte dinners. Guests can travel by train for a discounted rate, with prices starting at €95 per person for 2nd class for journeys up to 250 kilometres and €140 euros for journeys over 350 kilometres. For those looking to shop till they drop, a shoppingpackage at the centrally located Maritim Hotel Stuttgart offers unparalleled retail therapy. No need to worry about how to get to renowned retail village, Outletcity Metzingen, because a dedicated shuttle bus whisks you there in comfort and brings you and your bulging shopping bags back to the hotel afterwards. From casual wear to evening dress, styling products to sportswear, the retail outlet is a shopaholics dream, with more than 70 international fashion and designer collections. Discounts are up to 70% all year round. Package prices start at €99 per person for a double room, which includes one night’s accommodation and Maritim’s signature breakfast buffet, VIP Shopping Pass which entitles holders to additional discounts, a gourmet cocktail, shopping shuttle transfer and late check-out at 3pm on the day of departure. In the city’s historic Old Town, the freshly renovated Maritim Hotel Ulm offers a package which will be a sure-fire hit with families. Germany’s first LEGOLAND park is home to over 40 attractions, spectacular shows and numerous rides. Take the kids on a jungle expedition in the land of adventure, spot wild animals on a safari tour and have a Godzilla experience at the park’s Mini Land. Package prices start at €190 per person for two nights’ accommodation in a double room, Maritim’s signature breakfast buffet, a ticket to the LEGOLAND Park Germany and complimentary use of the swimming pool. For more information, please visit www.maritim.com.